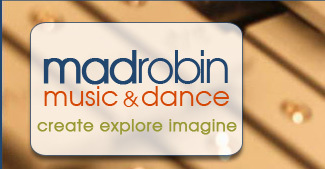 Mad Robin Music and Dance is an outgrowth of John's Music Inc., which operated in Seattle, WA from 1981 through August 2011, and exhibited at many Orff, Kodály and state MENC conferences and courses during its 30-year existence. Margaret Swain established Mad Robin Music and Dance after working at John's Music for over 20 years. She is grateful to John Avinger for sharing his knowledge, and encouraging her to continue to provide teaching resources specifically for general elementary and early childhood music and dance educators. Two dancers do-si-do on the side while facing and maintaining eye contact with the person across the set. The mission of Mad Robin Music and Dance is to support creative and exemplary music and dance education for children through offering the highest quality teaching resources, especially those which are influenced by Orff Schulwerk, Kodály, Dalcroze, and Brain-Compatible teaching philosophies. We see expression and creativity in the arts as being essential to the well being of individuals and society at large. Robin Goodfellow, also known as Puck, a trickster character. Margaret holds a B.A. in Biology from Whitman College, where she performed on recorder and krummhorn with the Whitman Renaissance Consort. She met her husband, Larry Stark, while rehearsing with this ensemble, and most of her lifelong friendships are with people she met through music-making and dance. She is a past president of the Seattle Recorder Society and has completed several Orff Schulwerk training courses, including Level One Orff Certification through the San Francisco Orff Course, and The Jazz Course with Doug Goodkin. Margaret's dance experience includes classes and BrainDance workshops with Gail Heilbron and Anne Green Gilbert at the Creative Dance Center in Seattle. Her understanding of arts integration and the shared elements of dance, music and language has been nurtured and influenced by the work of Janet Greene. 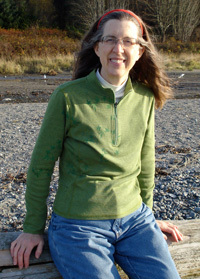 Prior to working at John's Music, Margaret was employed in Basic Science at the Fred Hutchinson Cancer Research Center. She reads poetry and loves gardening, especially growing vegetables in the Maritime Northwest. Right now, she can't get enough of Contra and English Country Dance. Hence the name "Mad Robin". Owner, Margaret Swain combines attention to detail with a true love of problem solving in her desire to support music and dance education. She is interested in both new and time-tested ideas, and seeks out a range of publications which hold promise for filling the needs of teachers in many different settings. She focuses on Orff instruments because she admires the craftsmanship that goes into making them, and understands how they can be used successfully throughout a child's musical development. She has experienced first-hand, the magical soundscapes and novel compositions that can result when beginners are lead to creating something of beauty through inspired instruction. She has also witnessed more experienced students displaying technical skill and improvisatory competence in playing jazz, classical and folk music with the Orff instrumentarium. Margaret has played recorder since the age of 18 and knows that this instrument too can be used for creating all types of music, as a solo instrument, in recorder consort, and in mixed ensembles.